Anyone but Clyde will do, predicting them to fail spectacularly as always! Another deluded Queue Pee fan. Given that it's but a day until proceedings kick off, I figure it's time to chip in with my two cents. A couple of cheeky picks in there, such as Edinburgh in 4th and Berwick in 9th (we are pish), but I don't see the League going much differently than this. Biggest point of contention is spots 6 through 8, which could be occupied by any of Annan, Elgin, and Cowden. 1 - Peterhead - Derek Lyle to fire them to the title. 2 - Stirling Albion - simply the second best side in the league. 3 - Queen's Park - distracted by the talk of the sale of Hampden but a good enough manager to guide them to a play off semi final defeat. 4 - Clyde - another season of improvement for Clyde. 5 - Cowdenbeath FC - 18 red cards this season. 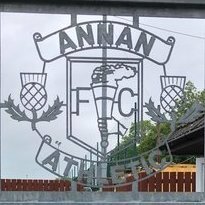 6 - Annan Athletic - a carbon copy of every single season they have ever had in the "senior" set up. Interchangeable with Edinburgh City. 7 - Edinburgh City - overrated and will falter after a good start. 8 - Elgin City - a season of struggle I feel. 9 - Berwick Rangers - manage to stay up on goals conceded. 10 - Albion Rovers - garbage. Wont win a game all season. Always a difficult league to predict. At the moment I would go for Peterhead. QP and Clyde to occupy top 3 in any order. Albion and Berwick to occupy bottom 2 and the rest anywhere in the middle. All depends on who stays best clear of injuries and suspensions and loans coming in. I have a sneaky feeling Annan may be a surprise package for some. Think their manager knows what he is doing. As for my own team it has been a tough pre season, due in part to injuries but young players/ fringe players coming in have done well. I personally think the squad is stronger, if Shane fires he will be like a new signing, Omar I think could do well alongside him and with Reilly leaving it allows Cameron, when fit, to play in his preferred central midfield position where he is one of the best in the league and offers far more than Reilly. Hopefully defence performs better and change of formation may help. An improvement in our away form would also help. A lot of ifs and buts though! Viewing from afar (the English Midlands) I don't have enough knowledge of L2. However, my heart tells me that this is the year that Clyde Fc starts on the road to recovery. As an old timer whose first memory of watching them beat PT 3-2 at Firhill in 1954, fielding 3 internationals, CFC is thoroughly cemented in my veins, uncomfortable though that sounds! If they can get more local support from their base of 20 years, they have the potential to grow again into a team to be respected in Scotland. Clyde will win every game. Before kick-off. Interesting to look back at these predictions. We've done not too bad !